What will this buyout mean? If BT swallows EE does it become BEET? As you will have heard, unless you're busy helping Santa in Lapland and can't get online as a result of frozen fibre optics, BT is in exclusive negotiations to gobble up mobile network EE, for a reported £12.5 billion (around $19.5 billion, AU$24 billion). This is a story that has huge ramifications not only for consumers but also for businesses. The deal obviously has a long way to go, and nothing is certain. BT is currently holding talks with EE's parent companies, Deutsche Telekom and Orange, and the company holds exclusivity for an undetermined number of weeks, meaning that any other suitors – such as Three, mentioned as rival bidders – will have to be patient before they can make any formal approaches. Plus, of course, Ofcom could nix the whole deal, if it's seen as being uncompetitive – although many commentators don't believe the organisation has the guts. So, what's BT hoping to gain from this uber purchase? Assuming it goes through, the resulting merger would give BT the ability to provide a 'quad-play' service – a bundle of landline, mobile, broadband and TV contracts – something that many of BT's equivalents elsewhere in the world already offer, and something of a communications dream package. The resulting outcome for BT would be that the company becomes the biggest comms service provider in the UK, and its competitors have understandably started making noise about how this would give BT an unfair advantage. And this is where Ofcom could come in. BT was originally slow out of the traps when it came to mobile services, but it did eventually get around to creating Cellnet (with its then partner, Securicor) some 30 years ago. The company went on to buy out Securicor before separating the mobile side of the business into O2 – which itself was purchased by Spanish Telefonica in 2005. If the deal to acquire EE goes ahead, BT's share of the UK market will be larger than if it had retained Cellnet all those years ago. Formed in 2010, as the result of a merger between French firm Orange and T-Mobile (which is part of Deutsche Telekom), EE has around 25 million UK customers, and is king of 4G with the UK's largest, slickest high-speed LTE data network. BT boasts 7.5 million broadband customers, 9.5 million landline customers and 1 million TV customers. It's merely coincidence, but notable, that both BT and EE are consistently ranked lowest for their customer service by Ofcom and other observers. 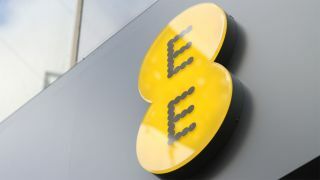 Ofcom say BT's 'satisfaction rate' is "significantly lower than average" and EE has the worst satisfaction feedback of all UK mobile providers, with only 69% of customers approving of the network's service. And, to add insult to injury, BT received Money Mail readers' Wooden Spoon Award 2014 for the worst customer service in Britain. Ouch. Given that BT blames some of this negative feedback on new customer overload following the launch of BT Sport, EE's potential acquisition doesn't bode well for customer service. An additional 25 million subscribers would seriously strain an already overloaded CS department. And what about prices? Well, commentators are mixed in their crystal-ball-gazing. It's reported that approximately £7 billion (around $11 billion, AU$13.5 billion) of the overall purchase price will have to come out of BT's coffers (with the rest coming in the form of shares) – potentially leading to price hikes to offset the (huge) shortfall. BT has said it anticipates savings, due to being able to negotiate harder and smarter as a bigger business, and also because it will be able to centralise its IT and call centres. But it remains to be seen if such savings could claw back £7 billion (around $11 billion, AU$13.5 billion). And BT has form, of course. It was surely no coincidence that phone and broadband prices rose on the back of BT Sport securing the rights to broadcast Premier League footy. Can we expect the same results this time out?